The universal lubricant WD-40 is useful for so many applications that chances are you'll run out sooner than expected. 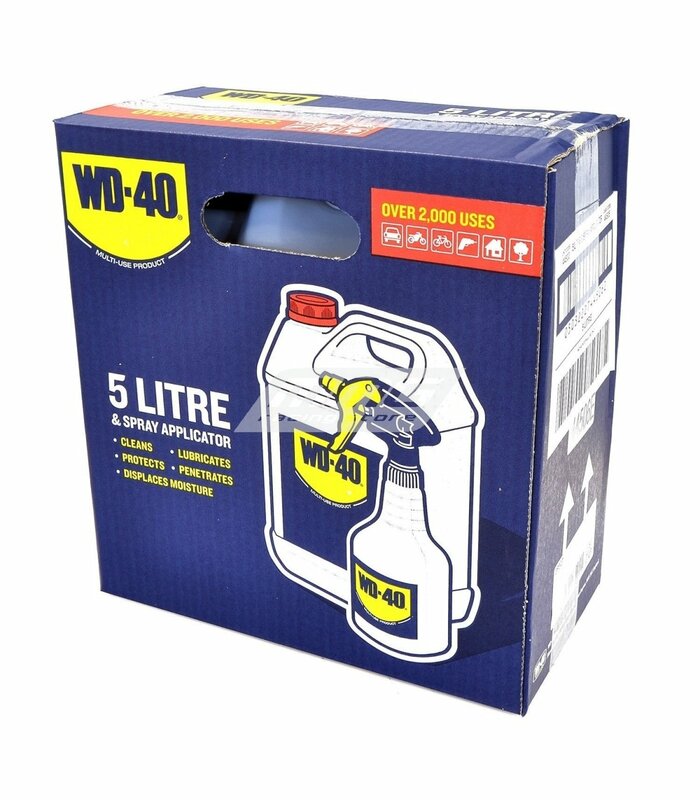 The 5 Litre WD-40 resolves that issue and provides you with a reserve that will lasts for over 2000 uses: Simply decant into the spray applicator supplied with the can. WD-40 cleans, protects, displaces moisture, lubricates even rusted and frozen parts, dissolves adhesives and dries electrical systems. The silicone free lubricant holds firmly to moving parts. WD-40 is a mixture of chemical concentrates suspended in a high grade petroleum distillate. Will not affect fabrics, rubbers or plastics. Its working temperature is between -100°F and +500°F. 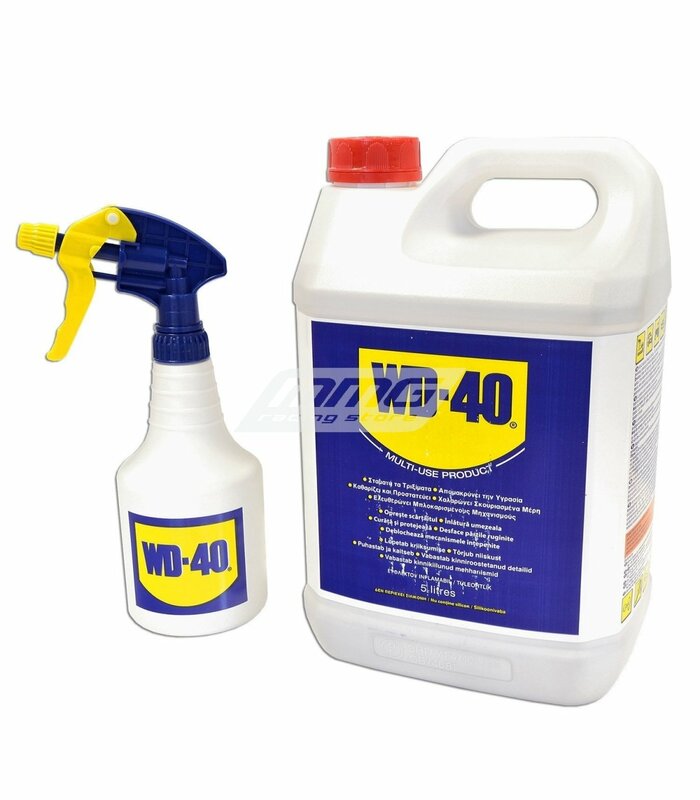 WD-40 is an all purpose liquid for displacing moisture, corrosion control, lubrication, cleaning and penetration. WD-40 has the ability to penetrate the minute grain boundaries on all metals. Although not essentially a lubricant, WD-40 is regularly used to lubricate all light machinery and electrical equipment. Thoroughly recommended to clean, preserve and protect all tools. 5 Litre container plus spray.